We believe that effective assessment is a continuous process that provides quality information to improve teaching and learning and raise achievement for all pupils. From September 2015 levels were removed from the National curriculum. We are now implementing a system of assessing pupil achievement without levels. New national tests for reading, spelling, grammar & punctuation and maths were carried out during the summer term (2016) for pupils in Year 2 (end of Key Stage one) and Year 6 (end of Key Stage two). The tests give each child a summative judgement set against a national expected standard. Parents will be informed whether their child has met the ‘expected level’ or whether they have met the higher ‘greater depth level’ of understanding. Here at Gillespie, we have been working closely with other Futurezone schools to develop our own system of assessment without levels that allows us to track and maximise children’s progress across the school. 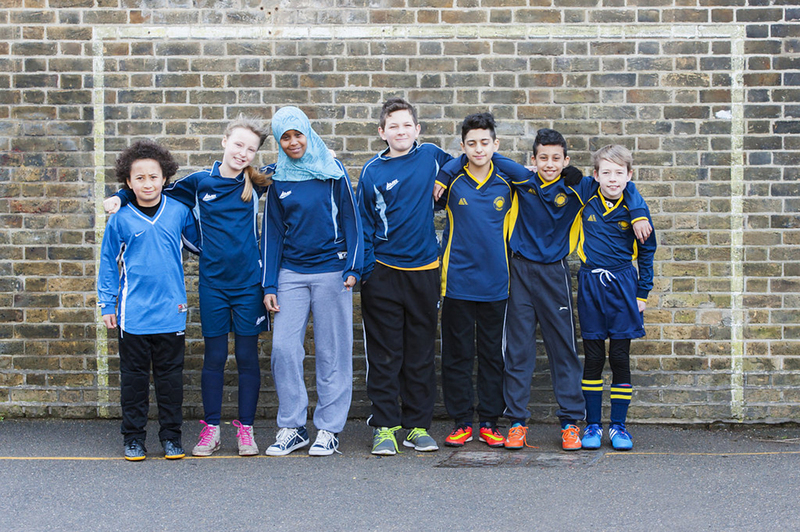 The Futurezone is an Educational Partnership of Islington primary and secondary schools co-chaired by Mark Owen, our Headteacher, working together to achieve excellent outcomes for all children. Our system of assessment aims to support high quality, in-depth teaching by focusing on curriculum content and the extent to which children have mastered key knowledge and skills. Children are encouraged to take more responsibility for their achievements through opportunities given to reflect on their own progress and through being involved in discussions enabling them to understand what their strengths are and next steps for improvement. to provide school leaders and governors with information that allows them to make judgements about the effectiveness of the school. Assessment for learning which helps teachers and pupils identify the next steps needed to make progress. It takes account of pupils’ strengths and areas for improvement and provides pupils and teachers with an insight into the learning that promotes success for all. Assessment of learning which more is associated with level judgements as to where children are at a specific point in time in relation to both their cohort and nationally. Assessment of learning shows what children can do without support and holds the school to public account. Sharing learning objectives with pupils Share learning objectives at the beginning of the lesson and, where appropriate, during the lesson in language that pupils can understand. Use these objectives as the basis for questioning and feedback during and at the end of lessons. Evaluate this feedback in relation to achievement of the learning objectives to inform next stages of planning. Helping pupils to know and recognise the standards they are aiming for Show pupils’ work which has met criteria, with explanation of why. Give pupils clear success criteria then relate it to the learning objectives. Model what it should look like. For example, exemplify good writing on the board. Ensure that there are clear, shared expectations about the presentation of work. Provide displays of pupils’ work which shows work-in-progress as well as finished product. Involving pupils in peer and self-assessment Give pupils clear opportunities to talk about what they have learned, and what they have found difficult, using the learning objectives as a focus. Encourage pupils to work/discuss together, focusing on how to improve. Ask pupils to explain the steps in their thinking. ‘How did you get that answer?’ for example. Give time for pupils to reflect on their learning. Identify with pupils the next steps in learning. Providing feedback which leads to pupils recognising their next steps and how to take them Value oral as well as written feedback. Ensure feedback is constructive rather than positive, identifying what the pupils has done well, what needs to be done to improve and how to do it. Identify next steps for individuals and groups as appropriate. Promoting confidence that every pupil can improve Identify small steps to enable pupils to see their progress, thus building confidence and self-esteem. Encourage pupils to explain their thinking and reasoning within a secure classroom ethos. Involving both teacher and pupil in reviewing and reflecting on assessment information Reflect with pupils on their work, e.g. through a storyboard of steps taken during an investigation. Choose appropriate tasks to provide quality assessment information (emphasis on process, not just the correct answer). Provide time for pupils to reflect on what they have learned and understood, and to identify where they still have difficulties. Adjust planning; evaluate effectiveness of task, resources, etc. as a result of assessment. Pupil guidance days Teacher’s conference with pupils to review progress in learning; maths and English. Particular strengths and areas for development are discussed and new ‘next steps for learning’ targets agreed. Targets are focused and are shared with parents. Monitoring of books & classrooms Senior leadership team review progress, coverage and marking and feedback in books and monitor the classroom environments. Strengths and areas for improvement are identified and shared with staff. Subject leaders monitor books quality assuring strengths and areas for improvement. Moderation across year groups Time for regular moderation of work in Maths and English; Years 1 & 2, Years 3 & 4 and Years 5 & 6 to ensure accuracy of judgments. Time for EYFS/KS1 staff to moderate progress. Assessment & testing Timetabled assessment weeks. Assessment materials and other resources are used to gain a termly summative view of pupil attainment which is then used to inform and confirm judgments made by teachers following on from the continuous gathering of the above evidence. Time provided for senior leaders, teachers and SENCO to review progress of learning. To identify groups of pupils making expected and exceeding progress. To identify any groups/pupils underachieving. Use data to inform teaching and learning. Review the provision map for pupils. In our Nursery & Reception class we are guided by the Early Years Foundation Stage (EYFS) Framework. This sets out the standards to keep your child safe and promote their welfare, the areas of learning and development which underpin your child’s play and activities and how your child’s progress will be assessed. A Unique Child: Every child is a unique child who is constantly learning and can be resilient, capable, confident and self-assured. Positive Relationships: Children learn to be strong and independent through positive relationships. Enabling Environments: Children learn and develop well in enabling environments, in which their experiences respond to their individual needs and there is a strong partnership between practitioners, parents and carers. Learning and Development: Children develop and learn in different ways. Practitioners teach children by ensuring challenging, playful opportunities across the prime and specific areas of development and learning. During their time in the EYFS, we observe how your child is learning and developing and we assess their progress. We use this information to plan activities to support and meet your child’s needs and interests. At the end of the Early Years Foundation Stage, we carry out a statutory assessment, known as the EYFS Profile, across the 7 areas of learning, assessing your child against the expected levels that your child should reach at age 5. These expectations are called the Early Learning Goals. Children are defined as having reached a ‘Good Level of Development’ if they have achieved at least the expected level in the Prime areas of learning (Personal, social and Emotional Development; Physical Development and Communication and Language) and in the Specific areas of Mathematics and Literacy. This assessment gives our school information about each individual child’s progress and also provides us data for the whole class, so we can compare them to Islington Schools and to schools nationally. Most importantly, it informs your child’s Year 1 teacher about their needs so that they can carefully plan for their learning. Parent evenings Meetings with parents/carers to share progress and what pupils do well and what they need to do better. Annual report to parents End of year reports summarise the achievements for pupils during the year. Parents are invited to respond to comments.